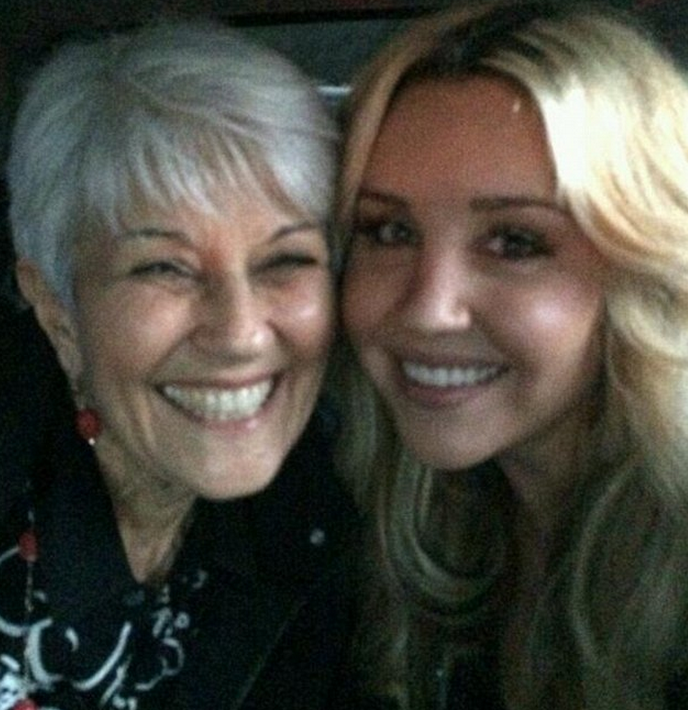 Troubled actress Amanda Bynes is doing 100% better. She has turned her life around since entering rehab last year. And in a series of Twitter photos shared by Amanda Bynes on Friday, the actress turned design student truly did appear back to her best. The 27-year-old looked healthy and happy as she posed alongside her mother and father at the Fashion Institute of Design & Merchandising in Los Angeles, where she is now studying. Her parents have proved the key to Amanda's recovery, supporting her even when she rejected their help at her worst point. Amanda was elegantly clad in loose-fitting khaki high-waisted trousers, pulled over the top of a basic black tank top showing off just enough skin to maintain class. 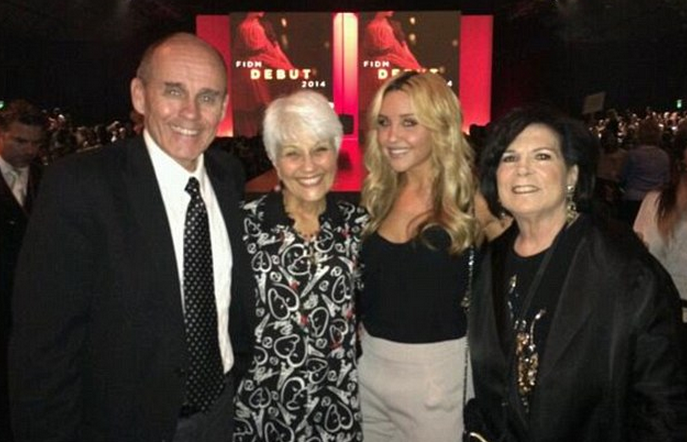 With a gold chain handbag slung over one arm, she posed alongside her parents, Rick and Lynn, on the backdrop of a presentation marking the 2014 FIDM Debut which welcomed the school's new students. Her hair was coloured a pretty, natural shade of blonde and styled in neat and curls - a marked difference to the bleach blonde style she wore for a long time in 2013. The pretty star's face was beautifully made up with light lashings of mascara and lip colour, bringing her back to a naturally stunning state. The Twitter posts mark only the third time that Amanda has made use of the social networking site since she came out of rehab to live with her parents and started studying in December 2013. She involved herself in college life by using the hashtag #FIDMDEBUT alongside each of her uploads, clearly proud to be part of the reputable institute. Amanda notoriously went through a very public meltdown last year, documenting her emotional journey via Twitter and being photographed out and about in various questionable situations and looks. Good for her, her parents did right by snatching her away from them devils and that life. She looks great! I am SO happy for her! GOD IS GOOD!